ila hadarati 'n-nabiyy salla-Allahu `alayhi wa sallam... al-Fatiha. A`oodhu billahi min ash-Shaytaani ‘r-rajeem. Bismillahi ‘r-Rahmaani ‘r-Raheem. nawaytu ‘r-riyaadah, nawaytu ‘s-sulook, lillahi ta`ala fee haadha ‘l-masjid. We have said in the previous session that there are five different presences, five different levels, and there are the main levels and in them there are infinite numbers of levels that the seekers can find through their journeys. The only thing that may might make us uncomprehending or understanding is that we are prisoners of our minds. If you are a prisoner in a cell you cannot come out of it, you are inside, and when you are inside, you are unable to see what is going on outside. So your eyes or your sight is only seeing inside the room and you are not able to see what is outside the room or cell. Might be outside is a nice garden or a nice mountain or a nice forest, jungle. Might be outside is a river or an ocean, but you are unable to see it because you are not trying to open the door of that cell and come out of that prison. So the mind is a prison for the soul and that is why people, when you speak about spirituality, they cannot understand it because they have a problem. Similarly, we have a problem when understanding spirituality, and not only us, but many scholars deny spirituality. Spirituality is not something imaginary; it is not something as today, many people say, “I am a spiritual person.” No, spirituality is based on realities, not on an imaginary structure. It is a real structure that God will give to the seeker in that journey: you can see it, feel it, live it. But if you are not seeing, you will be either one of these two groups: either you deny it, they say there is no spirituality, only what you see this is it, you do your worship, your prayers, your fasting this is it, nothing else. The other group didn’t see it, they learned about it from books or from teachers, but they are not yet raised to the level of those who can experience and see it. So Sayyidina Abdul Qadir al-Jilani (q), as we said previously, was able to see it, and that is why he said, “My level from where I am standing now, my feet are on the neck of every wali.” That is something no one said before his time, “my feet are on the neck of every wali, every saint.” Because he reached a level of seeing, he was able to experience what others cannot experience. But he said “on the neck”, he didn’t say “on the head.” It means he was able to reach a very high level that is above everyone’s knowledge, up to the neck, but above the neck there is the head. So that means there are ones above the head (with higher knowledge). Those who are of such caliber know that such realities exist, and that is why guides are important in our lives, because they guide you like the teacher in school who guides you to reach high school. Without a teacher can you reach high school? No, even if you study at home, your paper must be signed that you finished high school. There is university level in spirituality also, and there is professorship in spirituality; why do we accept only physical issues and say we need to get PhD? Why we don’t need PhD that connects us to our Lord? That is completely dropped from our thinking! No one is thinking about it anymore. It is there, but it is gone from your own limited mind, because your mind blocked you, you are inside the mind, and you cannot come out. That is why you ask someone something, they answer from their mind, not from their heart. So when you achieve the greatness of Realities, then you begin to realize that Realities are as awliyah showed us, in five different levels. Like for example, the mind guides you through your own square shape, your limitation, but dreams don’t. Sometimes you see dreams that take you far up to heavens; (at that time) they are uploading to you, but not giving you the key to download it. When you take the hand of saint, he is not going to teach you only one-to-one. Like a surgeon, after giving you anesthesia, you are not feeling his work on you; they work on us when we are not feeling, because it is easier. When a patient is awake can you do surgery? No, you cannot. It is more difficult to do dentistry work on a child (than an adult), because even if you give him laughing gas, he will still move around until you numb him. So when patients are completely numb they are easier to work on than when awake. When awake you evaluate everything according to your mind. Now what is time? 6:45pm. If I tell you now the time is 5:45 pm, do you believe it? Say “no”! What “yes”?! But Chicago people say, “Yes,” (because that is correct time for their time zone). She said, “Yes,” but she lives in Montreal, not Chicago. (laughter) So if I say it is 5:45 pm, Chicago people say “yes” but Eastern Time-zone residents will say “no.” If you speak to California people and you say now it is 3:45 pm, they will say “yes”. It depends on your current environment. So if you are in a realm of spirituality and realm of saints, then you can accept and you have to come out of your mind, out of your time. You are stuck to this timeframe, then it is very difficult to understand. So when awliyaullah are able to reach that level of purity, it means they drop from their lives the desires and pleasures of this life; they only want the pleasure of their Lord and heavenly pleasure. Then for them, everything changes. That is why Sayyidina Abdul Qadir al-Jilani (q) said, “My feet are above the neck of every saint.” Because he knows no one else is in the level he is in. But you cannot see who is above, you can only see who is lower. You cannot see who is on the roof, but you can see who is in the building. So it might be many are above him and Sayyidina Muhammad (s) (Mawlana stands) is on the top, above everyone, and no one can be above him. wa qaala radiallahu `anhu kullu awliyallah yakhoodh min (...) hatta imaam al-mahdi radi-allahu anhu. He said, “All saints will enter our gatherings, and they will take all our awraad and they will take from the daily dhikr we do, and they will hold tight on our Order, from the beginning of Creation until the day Mahdi (a) comes, and then until the Day of Judgment.” Why? Because the Naqshbandi Sufi Order comes from two huge, main engines, two lines that form one main engine: from Sayyidina `Ali (q) and from Sayyidina Abu Bakr as-Siddiq (q). Their lines meet in Sayyidina Jafar as-Sadiq (q).  Even Sayyidina Mahdi (a) will take from ana madinatul-ilmi wa `aliyyun bab’uha - I am the City of Knowledge and `Ali is its gate." There is no one above these two lines. wa law buthtu bima `alamallahu feeya la quti` minnee haadha'l-bal`oom. “If I will explain or expose or share the knowledge I acquired, these saints will call for cutting my neck.” ahl al-irfaan, Gnostics went so far, like zooming in, he went so deep into qalb al-Muhammadi (the Muhammadan Heart), that he was able to take from these knowledges and that is why he said there are five levels. The first is the ‘Alam an-Naasoot, the World of 34 dimensions, the World of Human Beings, of all that was created in this universe. That world carries a lot of knowledges; even scientists today are not able to say “we learned everything.” They say we didn’t learn even one percent of what exists. Even today, whatever MRIs can see is still the beginning of that kind of technology. You don’t know what they will bring more and more of technology, and still they say, “we are helpless.” The World of Human Beings is full of secrets. Don’t underestimate Allah’s power, ittaqoo firaasat al-mu`min fa innahu yandhuroo bi noorillah. A wali can see what you are thinking and what you are doing. Not only Hindus can see. Hindus, Buddhists, all kinds of beliefs take you to a certain spiritual level and they cannot go beyond that. Why? Because there is a limitation; today there is lack of spirituality in religion; unfortunately, in Christianity and Judaism there is lack of spirituality, and not because the religion doesn’t have it! The religions have it, but today they are dropping it and they mainly concentrate on the physical body, they don’t concentrate on the mind and soul. Because the mind is your prison, and they don’t want you to open that soul and let the soul to be free. Hindusim, Zainism and in all other beliefs they only discuss about the soul, which there is vacuum for that, people are interested in that. But that is there in the religion but people are not seeing it. Sayyidina Khalid al-Baghdadi (q), one of the biggest “gurus,” if you want to use that word, a very wise man, 150 years ago. He sent his students to make pilgrimage and he said to them, “You are going to meet Mahdi (a).” What does “Mahdi” mean in Arabic? It means “the guided one”, a wise man that will come to guide humanity. You need a wise man, a guide, a hadi. People are separated, everyone is happy with his own small group, running where technology is giving you a space to expose your ideas and might be your ideas are not important. Might be people laugh at you! Where is that you go to check? Facebook! Everyone is running to Facebook, as if Facebook became your god and everyone is posting nonsense there. You want to post? Free yourself from your mind! Then you post on the main facebook, the heavenly facebook; your Facebook. How many years you are going to live: 50, 60, 70, 80 years. All your pleasure will disappear in one moment. You are a doctor, your age is 45, or this doctor, his age is 35. Let him tell me now that he still feels the pleasure that happened to him one day ago. It is gone or not? So it means the one didn’t go into that pleasure and the one who did go into that pleasure are equal at this moment. So one wasted his life with worldly pleasure and one spent his life earning godly pleasure. This one’s pleasure is in way of God and the other in the way of this life, and they are both the same: neither feels pleasure at the moment of death. Both are in the grave with no more pleasure for them. But the one who will find there the Reality, if that one believed in Heaven or Hell, that one is saved and the one who didn’t believe in Heaven and Hell will be suffering. But might be Allah (swt) will forgive, we don’t judge, but according to our knowledge, one will be suffering and the other will be safe. If there is no such thing (as life after death), then both will be the same, with nothing. But if there is (life after death), then one will be suffering. So awliyaullah know this reality. God gave us in this life to have pleasure, but in a disciplined way. Follow the way that is in limits. You can’t go out of those limits. Allah (swt) says, “I gave you so much to make you happy. Why you have to go so far (beyond limitation)?” Look how many people are drinking (alcohol). Will drinking bring happiness? If they say they are non-Muslim and they want to drink, were Jesus (a) or Moses drinking all the time? There was a symbol for Jesus, changing the blood to wine, but they give you little bit, not a bottle; not to drink so much and go crazy. He believes in reincarnation, as if God doesn’t have enough souls! The Greatness of our Lord is the continuity. If you say He created and is unable to create more, that is a limit you impose on His Greatness. You are limiting God according to the limits of your mind. That is why they think there is reincarnation. (They believe) if you were good in this life, you come back in next life as an angel. If you were bad, you come back as donkey. Why Allah (swt) has to punish you as a donkey or a snake? Spiritual people can understand that punishment is more effective when you are ashamed, when you repent and God forgives you at the end. You become ashamed and regretful. Why you don’t want to make Allah (swt) merciful and say, “I forgive you.” Or you prefer that God sends you as a snake? You want to be snake? So that guru opened the door and said, “I am waiting for you,” and he offered him food to eat. They sat on their knees and the Hindu guru said, “I especially called for a Muslim lady to prepare your food as I knew you might not care to eat it otherwise.” Look how careful that guru was to make the food proper for the shaykh. Look how pure he was in his way. Muslim or Hindu, the importance is to follow your way. At that moment, Allah (swt) opened to his heart, wa sakhara lakum ma fis’samawati wa ma fil ard. Allah put under his control whatever is in heavens and whatever is on Earth, as he reached that station because he didn’t limit his mind. He was able to do miracles in limits of this world. When he disobeyed and accepted shahadah, Allah opened to his heart. How often do we consult with our Self and follow what it says? Because we are not able to come out of our inner-mind prison. Your prison is your destruction and your grave. That means your mind is your destruction and your grave. I am not saying not to use your mind for daily work, but we are saying between soul and mind, don’t be driven by your mind, but be driven by heavenly sources. So he said there are five levels and we began to describe them. The first level is level of naasoot, of humanity. As we said before you look at night in skies you see stars around you everywhere. You see the reality of stars. But when the sun comes out what you see? You see no more stars, you only see the sun. The stars are important but the sun is more important. The stars will direct you to the biggest planet. The biggest one we can see on Earth is the sun. All the others disappear when the sun comes out. When reality comes, everything else will disappear. When the sun of the heart will rise in horizons of the heart, then everything else will disappear. Worldly desire will go. You will not be interested any more in running from restaurant to restaurant, from bar to bar, from place to place in search of pleasure, as people today only want to compete with each other. You have brand name, they want brand name. You have designer, they want designer. So you wear something without that designer name, are you going to go in streets and show, “This is what I am wearing,” or you want the heavenly designer to give you a heavenly dress to purify you after you have been dirty? We are dirty in ourselves. When worldly life disappears from your life, you go into the heavenly kingdom, Alam al-Malakoot. And we don’t go into it now, but it is full of knowledges. Who is higher than a president? Today in new hierarchies they don’t have monarchies, so who is higher than a president? (After that huge earthquake) this poor president was homeless in Haiti. So this worldly life, don’t trust it. (He was) president in morning and in evening he became homeless. Some might be president in the morning and in evening there might be a coup d'état and he is now also killed! So don’t trust (dunya), trust Allah (swt). God gave you a way and a discipline, and said, “This is My constitution, follow it!” If you don’t want to follow it, you will have an earthquake in your life! Everyone will have an earthquake in his life and if he is clever, he will build back up quickly, and if not clever, he will not. May Allah (swt) guide us to His Greatness. And still we didn’t finish what he said about this life and heavenly life.